Join Capetsma Newsletter and get an Exclusive Coupon! Water temperature is an important factor that affects the health of your aquarium. 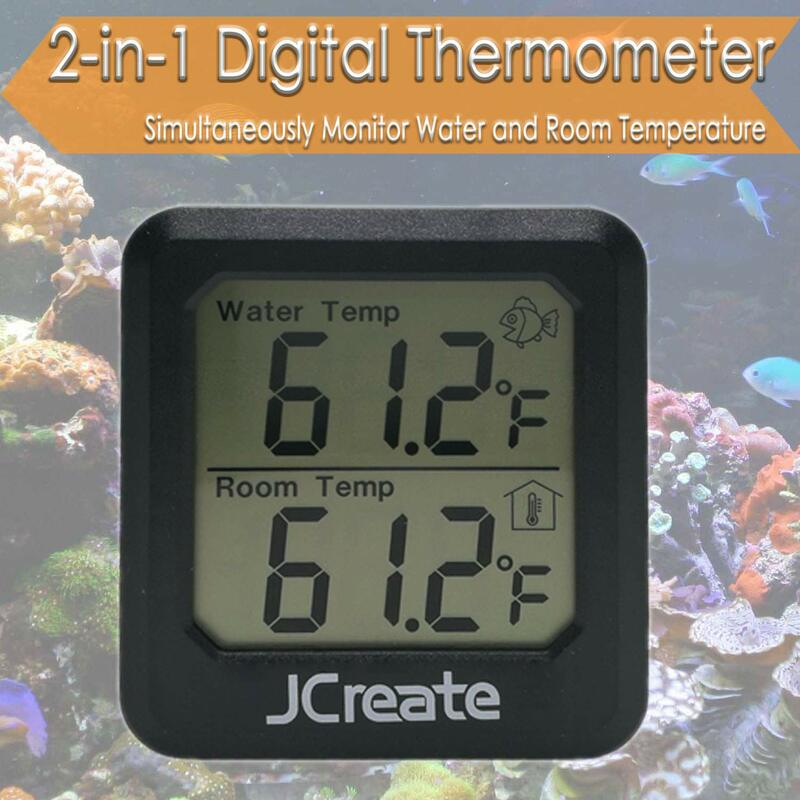 Ideal for freshwater and saltwater fish tank, the wireless capetsma 2-in-1 Digital Aquarium Thermometer allows you to accurately monitor water and room temperature simultaneously. It is easily mounted on the outside of the aquarium glass, avoiding the need for unsightly probes or wires. ✌✌ Superior products ✌✌12 months without problems guarantee ✌✌ Customer support 24 / 7 ✌✌ Amazon 30 day full money back guarantee ✌✌ If you have any problem, please contact us .